If you don't know who Gordon Ramsay is then you must have either just woken up from a coma or have been living under a rock. He first appeared on UK television back in the late 1990s and by 2004, he was one of the best-known celebrity chefs in British pop culture. Since then he has created a cooking empire including Michelin star rated restaurants and countless TV shows. He's known for his outbursts and liberal use of curse words, and we just can't get enough of his entertaining persona, so here are some bizarre facts about him that not many people know. 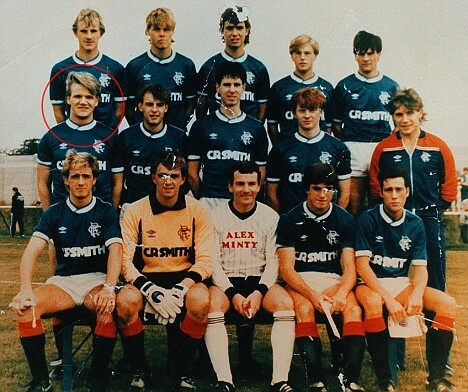 When Ramsay was 12, he was picked to play for the under-14 team for Warwickshire and played a couple testimonial matches for Rangers FC. He loved playing and when he was 17 he was really good and almost went pro but an injury ended that career dream. Afterward, he went back to college to pursue Hotel Management where he ended up cooking and never looked back. He said "I'm glad I got injured and ended up turning to cooking. It was an accident but the happiest one of my life." The reason why is the best (and worst) part. Ramsay was the head chef of the dining room at Wickham Arms in the early 1980s but was fired after he was busted for having an affair with the owner's wife. 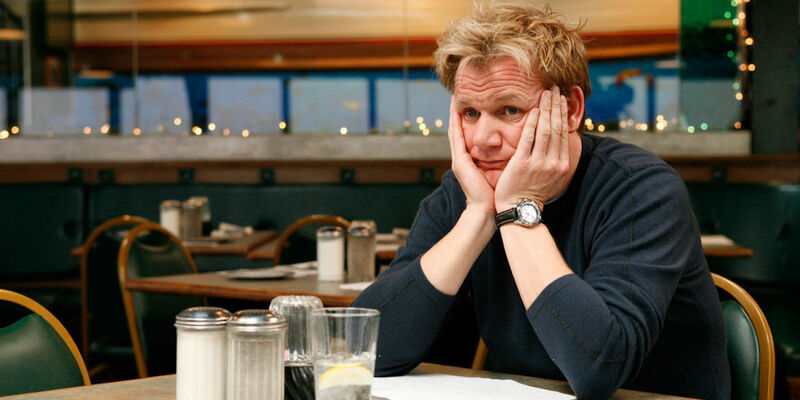 He was 19-years-old and his boss' wife was 33-years-old - Ramsay, you dog! On an episode of Jimmy Kimmel Live!, Ramsay confessed to never eating a Girl Scout Cookie before so Kimmel had him taste them on air. When he looked at the plates of Tagalongs, Samoas, and Thin Mints he said that they looked like dog biscuits. He tried the Tagalong first and said they were okay, but when he took bites of the Samoa and Thin Mint, he had to spit them out! Better tell your girls not to knock on his door trying to sell them to him. The British TV series The Big Fish Fight features top UK chefs advocating for sustainable fishing practices. 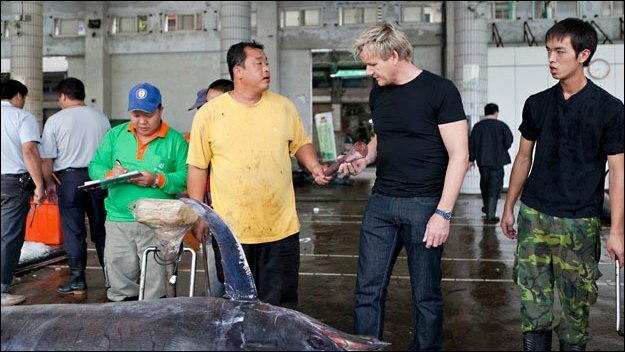 Ramsay did a segment for the series called Gordon Ramsay: Shark Bait where he and his crew went to Costa Rica to investigate fishermen who were shark-finning (cutting a shark's fins off while still alive, and then throwing it back in the water) and illegally killing and selling sharks to make shark fin soup. The crew climbed aboard a fishing boat where Ramsay found a sack of shark fins hidden under the ship's hull while he was swimming. When he called the fishermen out on it by throwing the sack on board, an argument erupted. They were pressured to stop filming when some men pointed rifles at them when they got to the dock. Ramsay said that the police advised them to leave the country and were told: "If you set foot in there, they'll shoot you." Ramsay doesn't eat the typical large three meals a day. Instead, he follows the Chinese ethic of eating. This means he eats four or five small meals a day. Maybe that's why he's not 400 pounds. For the past five years, Ramsay has been asking Bobby Flay for the opportunity to go up head-to-head, but Flay won't have it. Maybe he's too scared (we don't blame him). 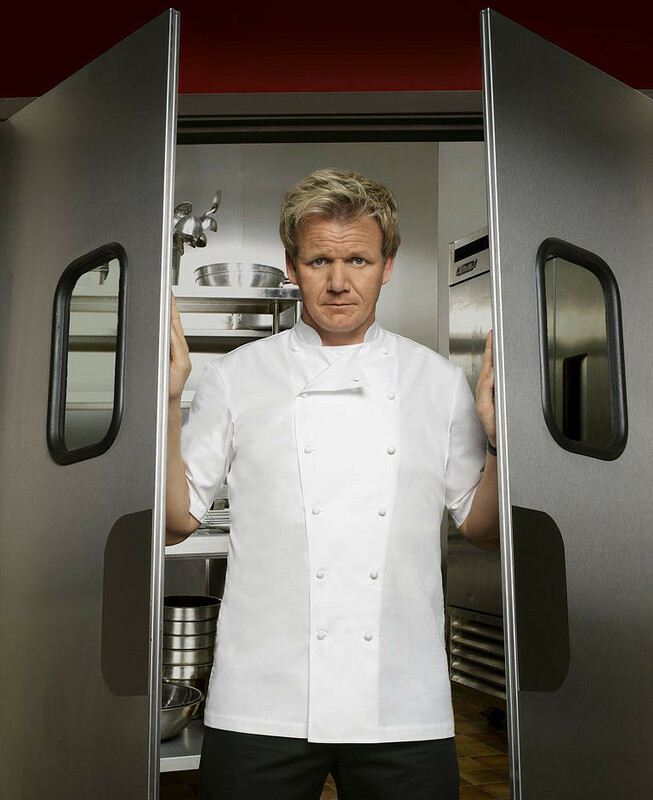 There was one time that Ramsay was at Caesar's Palace and walked into Flay's restaurant called Mesa Grill and said, "Bobby, let's cut the BS and get in the ring you and I for 60 minutes and if you need a ten minute head start and extra sous chef, you can have them, but I'm going to kick your rear." Flay had said yes but apparently 24 hours later his agent called to cancel, saying they don't have the time. Now that we think about it, this actually isn't a surprise considering how athletic he was growing up. Ramsay has participated in more than a dozen marathons, three ultra-marathons, and three half-Ironmans (which span 70.3 miles swimming, biking and running). He even competed in the Ironman World Championship, twice, which is known for being incredibly exhausting. It combines a 2.4-mile swim with a 122-mile bike ride and a full marathon (26.2 miles). How in the world does he have that much time and energy?! It's no secret that Ramsay is the most foul-mouthed chef on TV these days - in fact, his favorite word to use in the kitchen is "f*ckos." In one of his episodes of Great British Nightmare that was 103 minutes long, he swore 243 times and 187 of them were the F-bomb. In an interview with Jimmy Kimmel, Ramsay said that he tells his four kids that "cursing is not smart, it's an industry language and sometimes Daddy lets it slip... 20 times a day" (More like every 20 seconds, Gordon!). To avoid cursing in front of his kids, he developed a code of alternative curse words. The S-word becomes shiitake - like the mushroom, the F-word is now "fructose," and the A-word is asparagus. Very clever Gordon. 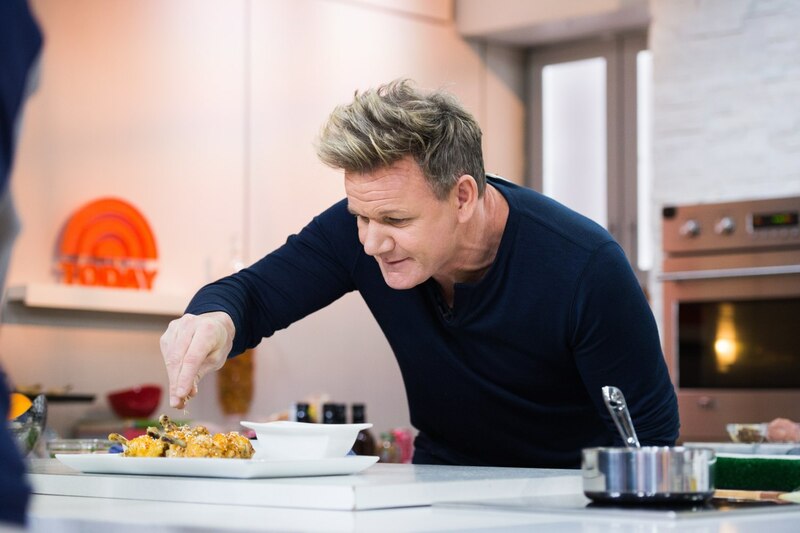 In an interview with Bon Appétit, Ramsay said that baked beans with chili flakes, garlic, Tabasco sauce, and hot sauce is his go-to. Put that on top of grilled sourdough bread with a duck egg, covered with Parmesan and gratinated under the grill. To us, that sounds like too much work and it'd be way past midnight by the time the snack was finished - we'll probably just stick to ice cream. Ramsay's Twitter is definitely worth the follow. You don't have to meet him in person for him to critique your cooking. People constantly send him pictures of the dishes they've cooked and he roasts them for their awful culinary skills - they're a hilarious read. In a Quora takeover, he answered the question about what he'd be if he wasn't a chef. He said, "I would probably be a Navy SEAL. They are disciplined... They are elite athletes and their discipline is something I can relate to." We definitely believe he would be capable of being a SEAL. He admits to teaching his chefs in an unorthodox way - before they taste the food they just prepared, he likes to blindfold them. Yeah, you read that right. Ramsay says the blindfold will create more intimacy with the food because all the senses start to rev up and their mouths will start to salivate and they'll get excited. Doing that for a month will make your mouth, tongue, and senses more connected to flavors. Sounds a little strange to us, but we guess his explanation does kind of makes sense. Maybe we should give it a try? While he was filming a segment for his show, The F Word, about puffin hunting in Iceland in 2008, he fell off an 85-foot cliff and landed in the ice water below. He struggled to get to the surface with his heavy boots and waterproof gear pulling him down. He was underwater for at least 45 seconds before his film crew threw a rope and pulled him to safety. When he was under, he said his lungs were filling with water so the only way he avoided drowning was by removing his boots and clothes. After he got out, he was treated at a hotel for a gash on his leg and went to the hospital. He said he thought he was a goner. Close call! This man has size 15 feet! He has to have all of his shoes custom-made for him. You know what they say (wink), AND he can cook - he seems like the perfect guy! Ramsay loves the speed and precision of Ferraris, Lamborghinis, and Maseratis, but they get him into trouble. He was driving his new car and (thinking he was back in England) he turned down the wrong side of the road. The LAPD pulled him over and Ramsay actually got out of his car. This made the cop freak out and yell at him to get back in the car - all while pointing his gun at him. Ramsay didn't have his ID on him and the cop thought he stole the Maserati. Luckily he was saved by a bunch of girls that came out of a pizza place saying they "love Chef Ramsay." The cop asked who he was and when he told him, he let him go. If he wasn't intimidating enough before, knowing he has a black belt in karate just adds to the list of reasons not to mess with him. He says he loves boxing too. So this means he can not only kill you with his insults but also with his fists. We think you should play it safe and never get on his bad side. 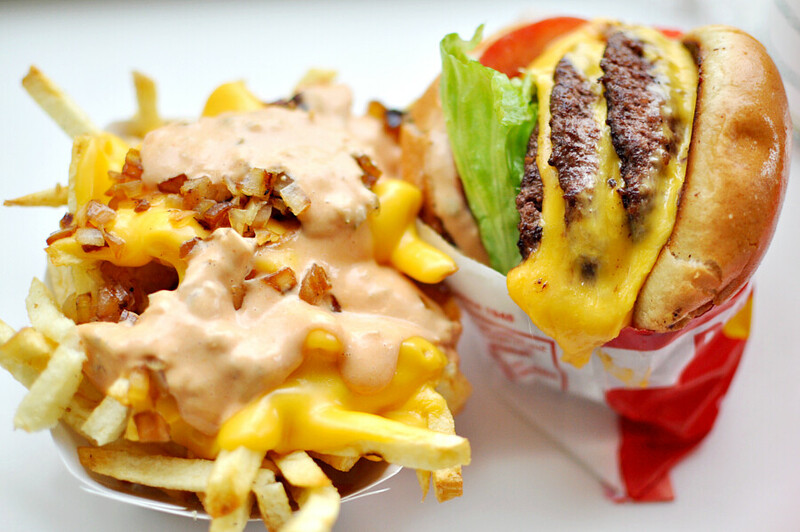 He considers the burger chain as his guilty pleasure, saying it's his go-to fast food place. He'll even sneak a Double Double into the first-class lounge at the airport when he's flying from LA to London. The feud between the two chefs began when Mario Batali criticized Ramsay's food, calling it "dull and outdated." Ramsay retaliated by bashing on Batali's signature orange pants, calling him "Fanta Pants." This is what caused Batali to ban Ramsay from all of his restaurants. Batali told The Guardian that Ramsay's people call and try to book tables at his restaurants but Batali won't allow it because Gordon bugs him and doesn't like the little nickname he gave him. According to Batali, a little heart-to-heart is all they need to end the squabble. Batali is open to burying the hatchet saying that if Gordon called him himself and asked to get a drink and talk it would be fine - but that has yet to happen. Ramsay says that their supposed feud is BS and that "people fuel that crap because they want to see me go on Iron Chef against him." It looks as though Ramsay and Batali aren't on the same page about burring the hatchet - in fact, Gordon doesn't think there's a hatchet at all! We do have to say that the two of them competing on Iron Chef against each other would be pretty cool, though. Fingers crossed. 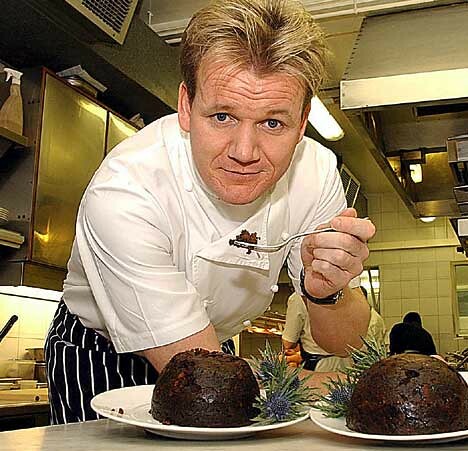 Ramsay said for the last 10 years he's been asked what his last meal would be about "two thousand effing times" and he hates it because he's not on death row. He thinks people should ask him that when he's 90-years-old, not now. We completely get that, but what is the answer? 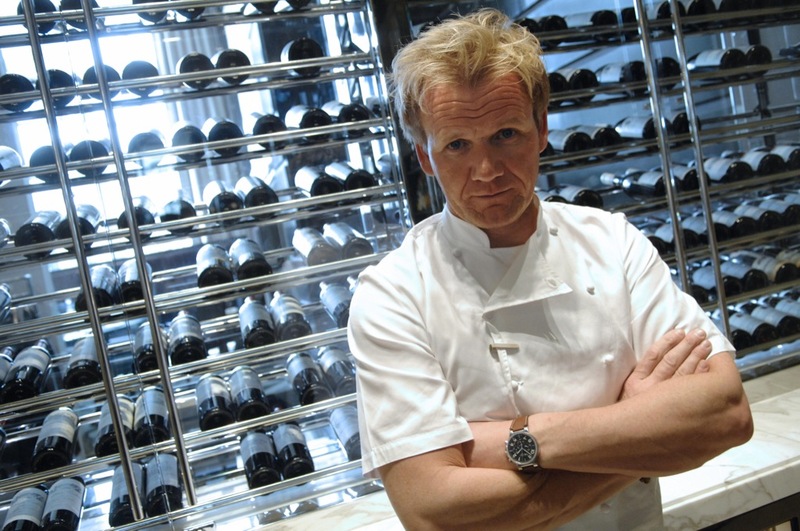 Gordon said in an interview with Bon Appétit that "Sea bass is the king of fish, so my idea of the perfect last meal would be a beautiful fillet, pan-fried with a light sorrel sauce, or served roasted with artichokes and a chive crème fraîche." Fancy. He has his own game app called Restaurant Dash. The app lets you build a restaurant empire, travel the globe and master your culinary skills with Ramsay as your mentor. You can battle other players in a cook-off and earn and trade items for better recipes. This isn't the first time there's been a Ramsay game, though. 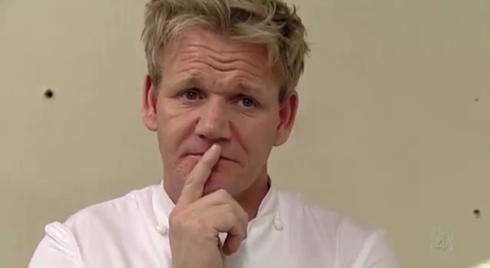 A Hell's Kitchen game was released on Nintendo Wii where you could have the chef yell in your face. Does that sound super intimidating to anyone else or is it just us?